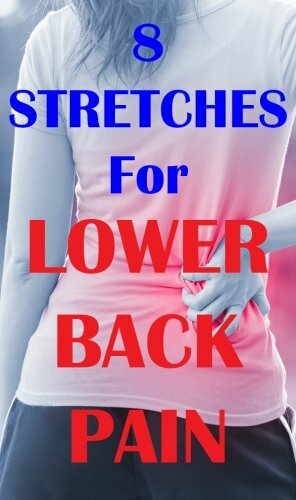 If you want to get rid of lower back pain, whether mild or severe, the 8 stretches below will completely relief your lower back pain in the shortest time humanly possible. 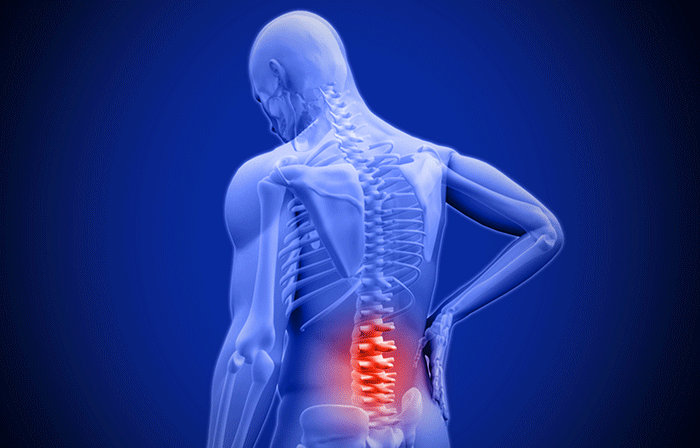 Cases of lower back pain are increasing day by day. In the US, it is estimated that one in every 10 people suffers from lower back pain. Unfortunately, most of these people opt for painkillers – which only relieve the pain for a while. The stretches I’m about to share with you will relief your lower back pain for good. And the good this is, you can do them in just 8 minutes. Do this routine every morning – your back will feel better and you’ll have a great day. If you’re not sure how to perform any of the stretches, check out the video demonstrations below the routine. To perform the hamstring floor stretch, lie flat on your back and keep feet straight. Lift one leg up and pull it to stretch the hamstring – remember to keep the leg straight. Hold the stretch for 30 seconds then switch legs. Lie flat on your back and spread your hands sideways. Bend the right leg and bring it over the left one. Make sure you don’t lift the right shoulder off the floor. Use the left arm to press down the left knee for 20 seconds and then switch sides. Lie flat on your back, bend one knee and pull it towards the chest. Hold the stretch for 30 seconds and repeat with the other leg. Lie flat on your back and keep both feet bent. Lift the left leg and rest its calf on the right thigh. Grab the right hamstring will both arms and pull it towards the chest. Stand upright with both feet close together. Make a long stride forward with the left foot. The bent the front knee until it’s at a 90-degree angle. At this point, the rear knee should be slightly touching the floor. Place both hands on the left knee and stretch it forward. Hold for 30 seconds and switch legs. Lie on one side and grab the shin of the top leg with the top arm. Pull it towards the back and hold that position. Hold for 30 seconds and switch sides. Kneel on the floor and then rest your thighs on the calves. Stretch your arms forward and place them on the floor. Try to bring the head as close to the floor as possible. Hold that position for 30 seconds and repeat one more time. Stand upright with feet shoulder width apart then straighten the right arm and lift it up over the head. Bend the torso sideways as you stretch the right arm toward the left side. Hold for 15 seconds and switch sides. If you do these stretches every morning, your back pain will soon disappear. Don’t rely on painkillers to get rid of back pain. Seek for a permanent solution. If your lower back pain is severe seek help from a physician. Which exercises have helped you relief lower back pain? I’m so glad I found this! Woke up with my back just hurting, couldn’t walk or hardly move. After I did this, I have less pain and can move now! Also please watch the video it also helps walk you through it. Hi Deana, I’m happy to hear that the stretches helped you. Keep doing them consistently to eliminate the pain for good. Hi I have had both knees replaced and I’m not real flexible for some of these is there anything you can suggest to help me do these. It’s more the one we’re your leg goes over your bent knee. Also I haven’t quite kneeled on them yet. Which stretches in this list can you do?